Tory Coats announced a new Teen Entrepreneurship initiative. In partnership with the Hope for Honduran Children Foundation, Teen Enterprise will be traveling to Honduras – one of the world’s poorest countries – to teach entrepreneurship to Honduran teens and provide humanitarian aid. 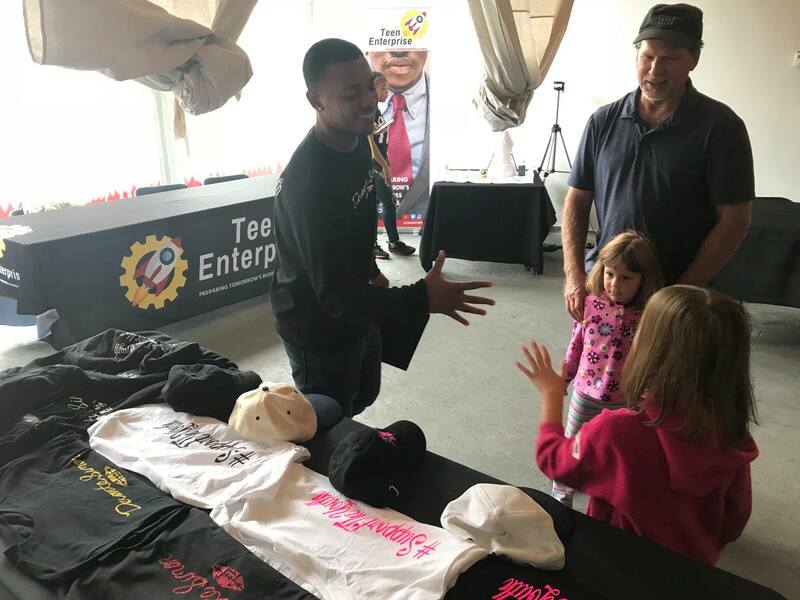 On July 30, a host of Cleveland teens were given the opportunity to pitch their entrepreneurial ideas for a chance to win seed money for their business idea at the Dare to Accelerate teen pitch competition. Tory joined finalists Keisha Johnson Chambers, Christopher Scott and Gina VanCant, along with last year’s winner Jeremy Langham, on WCPN 90.3. Hear the broadcast in its entirety > The Accelerate portion begins at 18:05. Tory Coats won Accelerate 2018 for his idea to provide young entrepreneurs with business experience and the opportunity to sell products out of underutilized storefronts.